Medical Legal Spider maintains a secure HIPAA/HITECH compliant environment for the transmittal, processing and storage of all Protected Health Information, regardless of the source. This includes active monitoring of physical premises, data use and storage, routine auditing and breach testing, as well as regular staff training. 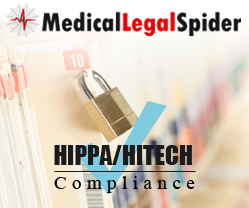 Medical Legal Spider, a CAP Digisoft Solutions, Inc. company & global Business Process Outsourcing and Software Developer is committed to full compliance with the final rule implemented September 23, 2013 for Covered Entities covered under HIPAA (Health Insurance Portability and Accountability Act) and HITECH (Health Information Technology for Economic and Clinical Health Act). This new rule significantly expands the definition and liability of Business Associates and now includes subcontractors of a Business Associate, even if they do not actually view Protected Health Information. "We take security and confidentiality of all medical and other personal information entrusted to us very seriously", according to Arun Kumar, Medical Legal Spider's Dallas, Texas based CEO. He went on to say, "Having handled nearly 50,000 medical-legal files since 2007, we are proud to say that we have never had a security breach in our systems…and we remain vigilant." In response to the new rule, Medical Legal Spider has introduced a new service to assist Covered Entities, Business Associates and Subcontractors to be in full compliance. Now, medical records can be De-Identified to a 99.5% confidence level with MLS' unique technology and document review process, in accord with the HIPAA Safe Harbor Standard. Simple OCR processing has been found not adequate due to the on-going prevalence of handwritten notes and poor image quality of some PDF files. Common data that can be De-Identified includes patient names, social security numbers, birth dates, addresses, telephone numbers and email addresses. Medical Legal Spider offers economies of scale, standardized practices and sophisticated technology support, while better managing all types of files containing medical information, often those in litigation. Injury cases, medical malpractice, personalized medicine and many other types of medical files are routinely processed, all in the company's secure program. 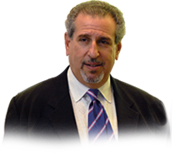 MLS offers a FREE, no-risk test case to all new firms to try any of these services. There is no better way to experience how security can be maintained, efficiency improved while lowering costs.